A majority of the time Toby is very good, but when he isn’t getting the attention he wants for the amount of time he wants it — watch out! He becomes a little devil with fur. I swear he knows exactly what to do to push everyone’s buttons, too. As a result, he does little things that are not completely destructive, but are just enough to get your full attention. It’s the “negative attention is better than no attention.” His move of choice the past few days is reaching into garbage cans, pulling out tissues or paper towels and shredding them all over the room. If you follow us on Facebook, you may recall me finding a room covered in shredded tissue the other day and the “who me?” look I said Toby gave me. Well, yesterday afternoon I caught him in the act. Sorry for the blurry camera phone photo, but if you look closely, you can see the tissue in his mouth. Uh-oh, Toby and Havi mustve conspired, because Havi did the same thing yesterday! Interesting, Yogi did the same thing at my parent's house yesterday when dad went out to mow the lawn and mom was on the computer in her office. I wonder if it is a vast K-9 conspiracy to take over the world. like that, Laura! 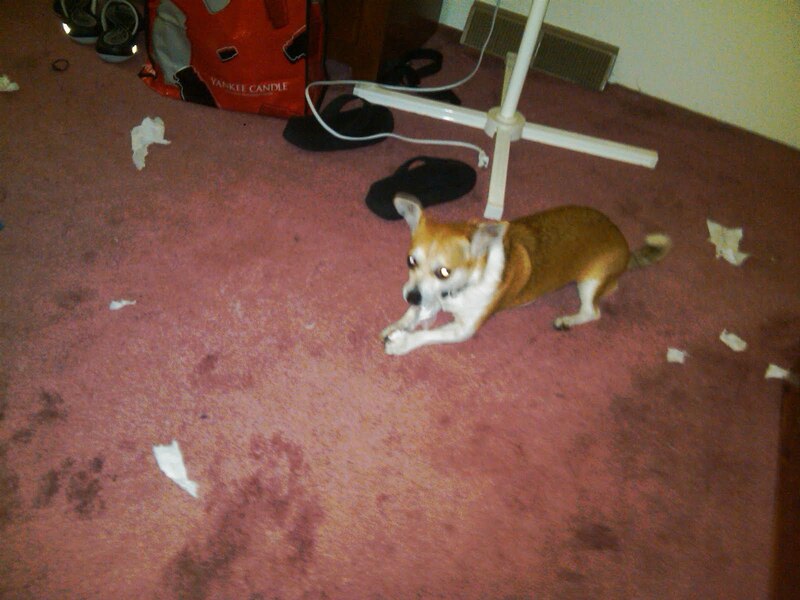 Maybe it was National Dog Shred a Tissue Day.